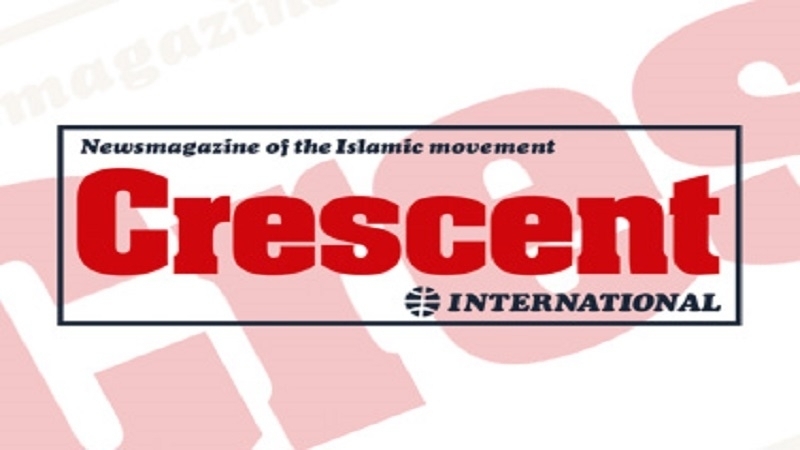 The Institute of Contemporary Islamic Thought convened a conference on the Seerah in Toronto last month, in association with Crescent International. Here we present the paper presented by IMAM MOHAMMAD AL-ASI. As a superb model of human behavior the Prophet has dwelt in the thoughts and feelings of billions of Muslims, over fourteen centuries of time, and in the worlds of humans and jinn. The emotional attachment to Muhammad (saw) is beyond question, but the mental affinity with him leaves a lot to be desired. Candidly speaking, few of us have made the effort required to understand the statesman Prophet, or the ideological Prophet, or the military Prophet. We seem to be content with having the spiritual Prophet, or the moral Prophet, or the "religious" Prophet. This, in a nutshell, is where we have failed him. We can understand the western mind wandering as it developed secular definitions of life, existence and God. We do not agree with it, but we can understand how it happened. But if we look at ourselves, how can we explain our secularization of Allah’s Prophet? What, in these fourteen centuries since his hijrah, can explain our reducing the Sunnah to culinary, hygiene and other personal matters? Where is the Prophet who struggled in Makkah for thirteen years, enduring persecution, humiliation, the torture of scores of followers, abandonment, social estrangement, economic sanctions against his nascent community, and finally the attempts of the mushriks of Makkah to assassinate him? The Muslim mind has still not sorted out this delicate and vital issue. The consequences of this failure are growing numbers of victims who are socially dislocated, politically alienated, and economically oppressed. This cannot go on forever. We must begin to follow our Prophet not only in pious sentiments in our speeches and sermons, but by emulating his Seerah, particularly his jihad, in our actions. The humble object of this paper is to look at the illuminating character of Rasul-Allah (saw) in what may be one of his most outstanding and persevering objectives. Did the Prophet Begin With Rituals or Ideology? All Muslims know that the first individuals to respond to and accept Muhammad (saw) as Allah’s messenger and Prophet were his wife Khadijah, his cousin ‘Ali, his adopted son (mawla) Zaid, and his friend Abu-Bakr (as). But what do we mean when we say that these people accepted his message? What was his message at that time? Was he telling everyone to pray? How to perform their ritual bathing (ghusl)? Or was he presenting them with another set of obligations? I think it is clear that at that stage there were no ritual requirements of salah, zakah, sawm, and hajj as we understand them today. Allah’s Prophet, our model of emulation, was not asking people to become ritualistic Muslims. These rituals were institutionalized just before or after the Hijrah to Madinah. For more than ten full years, therefore, Muhammad (saw) was trying to communicate something to his society, they were in denial and up in arms against it, and it most definitely was not the rituals of Islam. The point is, of course, that the Prophet was soliciting individual commitment to social transformation. He was appealing for an eventual elimination of the socio-economic status quo in favor of a new socio-economic order based on the revelation that he was receiving from Allah swt. The process was summarised by the Muslims’ article of faith, or declaration of allegiance, which places Allah as the only divine authority and authoritative divinity that man has, and Muhammad (saw) as the one who is His messenger, who is communicating and explaining this truth. When Muhammad (saw) began this struggle of a lifetime he began, like all other prophets before him, by touching on the social and interpersonal relationships that tied him for forty years with the individuals and peoples among whom he was born, by whom he was raised, and with whom he resided. Once his divine mission began, we observe that relatively few people committed themselves, their lives, and their resources to him and his Qur’anic message. The vast majority of Makkah’s occupants rejected and opposed him. In these years, the close circle of committed Muslims around the Prophet had to conceal the fact that they had broken with their society as far as its economic, military, political and social character was concerned. Even Abu-Bakr, a leader of sorts among his own clan because of his experience and seniority, and well-respected and very well-known by the Makkan elite, had to hide his new allegiance. Over the years, other Makkans became Muslims; people such as Talhah ibn ‘Ubaidillah, Sa’d ibn Abi-Waqqas, ‘Abd al-Rahman ibn ‘Awf, al-Zubair ibn al-’Awwam, and ‘Uthman ibn ‘Affan, as well as ‘Uthman ibn Madh’un, al-Arqam ibn Abi al-Arqam, ‘Abdullah ibn ‘Abd al-Asad (Abu-Salamah), and ‘Amir ibn al-Jarrah (Abu-‘Ubaidah). Probably no more than two hundred individuals in Makkah made the transition from shirk to Islam, but as their numbers increased opposition to them increased sharply. It was no secret that Muhammad (saw) had set out on a divine mission to change the way people related to each other, and to Allah; that was the most important aspect of his struggle. At the core of this preaching was a new deen (way of life and existence) in which humanity and divinity are related. He knew that this would require a consolidated human, with all the Muslims working on a new order for the social dynamics and behavioral patterns of man on earth. The Makkan mushriks were sharply aware of this danger to the status quo and to their privileges. They did not want anyone–least of all a prophet–disturbing their lucrative trades, their slave-markets, and the beliefs that sanctioned these exploitations. It should be noted that Allah’s Prophet (saw) did not invite kuffar to Islam. The average Makkan was just an ordinary person who might have doubts about certain social issues, or who might agree with some things and disagree with other things, and was otherwise trying to make it from day to day for himself and his family. These were people whom the Prophet came to enlighten. Before the Prophet presented them with Islam, they were not kuffar; it was only after they rejected him and Allah that they became guilty of kufr and shirk. And even then the gates of repentance were open to them. When the ideas of Islam combined with a growing number of adherents, the Makkan elites felt acutely threatened. It was an existential threat that had nothing to do with the way Muslims performed their rituals. At this point what began as an explanation of Islam became a clash of convictions and ideas. From this point on, the relationship between the emerging Muslims in Makkah and the ruling mushrik elite became a struggle between ideas, inspirations and interests divided by the eternal fault-line between Islam and kufr. The pressure on Allah’s Prophet (saw) intensified dramatically, but he did not alter his position. This patient and steadfast endurance of pain and hostility has come to be viewed as the most important sunnah he has bequeathed his ummah, while his social behavior, plan of action, and his elaborate and systematic campaigns against the well-entrenched pre-Islamic institutions and forces go unnoticed and barely mentioned by many sincere but shortsighted Muslim activists. The Prophet was ridiculed by society’s upper social, economic and intellectual classes, while the Quraish tried to ignore him altogether, hoping that by dismissing him they could prevent him from gaining any ground. One of the derogatory comments they made about Muhammad (saw) whenever he passed by them in their gatherings and meetings was: "O here comes the [grand] son of ‘Abd al-Mutallib, who says the heavens are speaking to him!" This was the situation the Prophet faced; every response he made is a feature of the character and quality that we Muslims have to acquire to live up to his example. In the first instance, the Prophet said something which upset Makkah’s prominent people so much that they had to react with comments of this nature. Not that he intended to aggravate them, but that his words of truth and justice by their very nature disturbed Makkah’s high society; and this example is a central part of the Sunnah and Seerah. In the second instance, the Prophet himself had to bear the consequences of the wrath of these elites and those that they controlled. This forbearance and the human effort to counter the pressure, without compromising on the truths we have to state, is a sunnah and part of the Seerah. We have to continue to function normally in society when its power elites are trying to break us. How we go about defending ourselves against the pressures coming from the society and its officialdom is a sunnah and part of the Seerah. This is precisely the area that we have not developed for lack of knowledge or experience (or both). It is not difficult to think of reasons why Muhammad (saw) might have left Makkah during those difficult times. It would have been entirely natural and understandable for him to have sought ‘greener pastures.’ But he did not. Instead he insisted on continuing his work in Makkah. The mushriks demanded he perform miracles, saying that if you are truly a prophet then why can’t you turn al-Safa and al-Marwah into gold? They asked him show them a written book coming down from heaven. Yet the more they mocked him, the more he strove to proclaim the truth, to assail their graven images, and to expose their ‘men of religion’. If for nothing else, the Prophet (saw) would have had common sense on his side if he had left Makkah because of his treatment, and that of his companions. The family of Yaser bin Ammar, for example, were subjected to appalling torture to make them renounce Islam, but they refused to do so. They had gained a grounded understanding of the Seerah–the more they were hurt and abused the more they stood up for their iman and Islam. This Quraishi policy of persecution would have been enough by itself to refocus the whole Islamic effort on another city or another region. Then there were the rumors and propaganda. Makkah was full of Quraishi slanders against Muhammad (saw) and his followers. The Arabian peninsula echoed with false information about Muhammad and the Muslims, which reached even beyond Arabia into Africa and other places. The crescendo of anti-Muhammad misinformation reached its peak during the annual hajj, when people came to Makkah from all over the peninsula. The patricians of Makkah met with al-Walid ibn al-Mughirah, a clan chieftain, to discuss how to discredit Muhammad at this time. Some suggested that Muhammad be presented as a type of cleric, but al-Walid replied that Muhammad does not speak the language of clerics. Some suggested that Muhammad be pronounced a madman; al-Walid rejected this because there was nothing about Muhammad to suggest that he was irrational or insane. Others thought to accuse him of being a sorcerer; but al-Walid turned that down because there was no evidence for it. They finally decided to say that Muhammad (saw) speaks spell-binding words, and accordingly accused him of being some kind of wordsmith with the ability to hypnotize individuals, break up marriages and ruin families. By this approach, the Makkan elites were saying in effect that Muhammad no longer belongs in Makkah–the words that he is preaching come from alien sources and he is more attached to those "alien sources" than he is to his culture, his mother tongue and his ancestral religion. Yet still the Prophet of Allah (saw) did not think about changing Islam’s center of gravity from Makkah to some other place.The Quraish, the power-brokers of Makkah, did not give up on trying to force Muhammad (saw) out of Makkah, short of confronting him with lethal force. Next they tried to ostracise him (saw) and his kin. The powers in Makkah agreed to isolate Muhammad (saw), and the clans of Bani Hashim, and Bani ‘Abd al-Muttalib. This meant that no one was allowed to trade with them or to inter-marry with them. An official document to this effect was posted in the Ka’bah. The Quraish and its coalition thought that this internal exile closing Muhammad and his relatives from Makkan life would be more effective than their earlier strategies. This situation continued for between two and three years. The Quraish expected that the Prophet’s clansfolk would begin to distance themselves from him, and even that some Muslims would renounce their Islam. And finally Muhammad would be alone, detached and unattended. And still the Prophet (saw) did not cave in. He still did not think of moving, relocating the seat of Islam from Makkah to some other base. He emerged from all these challenges with greater determination to liberate Makkah. The news about this economic boycott and social ban spread throughout Arabia, and people who might otherwise have been indifferent began to realize that there is something special about Muhammad. How did the Prophet and his followers and folk respond to this internal black-listing? They took refuge in an area on the outskirts of Makkah, and suffered the pains of starvation, deprivation and all the difficulties of want and loss. At times they could not find food to satisfy their hunger. These Muslims were not permitted even to speak to other people. The only exception was during the sanctified months (al-Ash-hur al-Hurum), when the Prophet (saw) would go to the Ka’bah and tell Arabs from outside Makkah of the meanings of Islam. These restrictions drew sympathy from other peoples in Arabia. Some listened to what the Prophet had to say and then responded positively to his call. Others secretly sent food and water to him and his people. This situation lasted for about three years before five young men decided that this boycott was ill-conceived and misguided. These five young men — Zuhair ibn Abi-Umayah, Hisham ibn ‘Amr, al-Mut’im ibn ‘Adi, Abu al-Bukhtari ibn Hisham, and Zam’ah ibn al-Asad — decided to find a way to annul the notice posted in the Ka’bah. 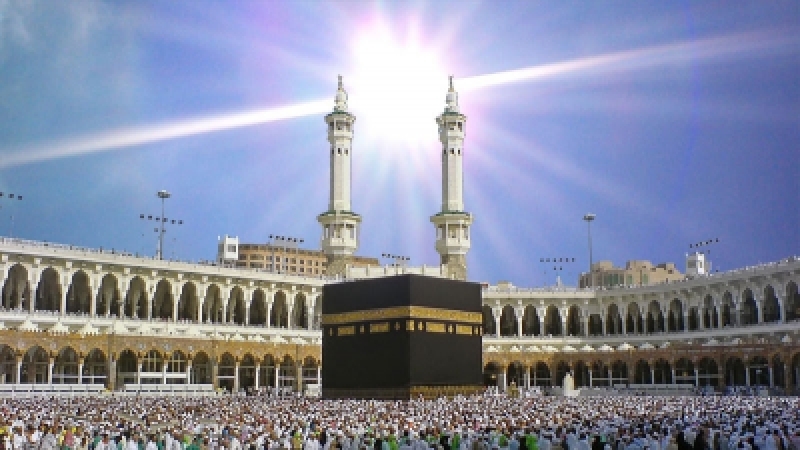 The following day one of them came to the Kaëbah and addressed the people there, saying: "O people of Makkah! We eat our food and we dress up while Banu Hashim are wasting away in the valley on the outskirts of Makkah, unable to buy or sell! I will not sit still until the noxious boycott-document on the Ka’bah is torn up." Upon hearing this Abu-Jahl loudly retorted: "You are lying! And by Allah! It will not be torn up." Then the other four young men came forward to support what their colleague had said. Abu-Jahl realized that these five together represented a significant bloc of people in Makkah, and that confrontation with them would cause serious rifts within Makkah. And so the document was brought down and shredded, and the Prophet and his people were permitted to return to Makkah. And finally Quraish realized that nothing is going to stop Muhammad (saw) from expressing Allah’s words and doing Allah’s will on earth. The heroic aspects of the Seerah of Allah’s Prophet in these episodes of his life are overlooked by those who are planning in the Islamic movement at the moment. How is it possible that people do not see how steadfast and principled Allah’s Prophet’s decisions were in Makkah? True, there were two attempts to explore other areas for support or refuge outside Makkah, al-Habashah and al-Ta’if. But these attempts to relieve the pressure on the persecuted Muslim community in Makkah were no substitute for liberating Makkah first. Proof of this is that when the Prophet organized an Islamic state in Madinah, he still concentrated his energies on liberating Makkah. 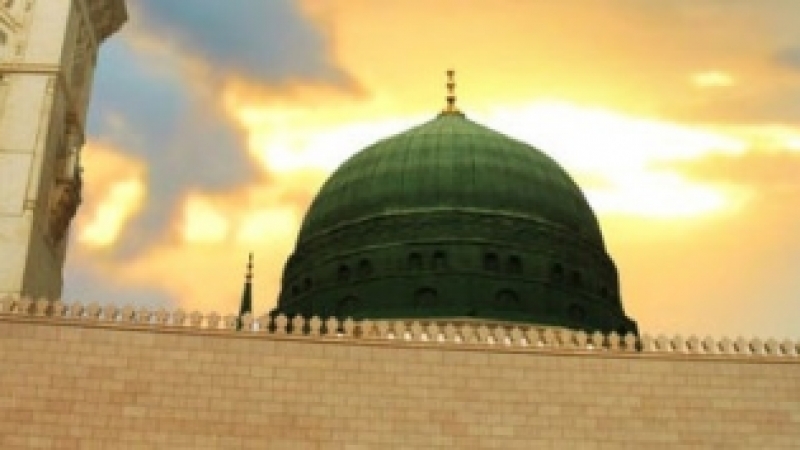 During his ten years in Madinah, he dispatched military forces, himself participated in military battles, and waged war to have Makkah and the Ka’bah established as the base of Islamic authority. What else is there, when Allah says: "Certainly, the first domicile designated for people is the one that is in Bakkah [Makkah]..." (3:97). The Muslims’ contemporary action-plans are moving in various directions, as if no one wants to be bound by this Prophetic model. If there is any political and social element in the Sunnah that Muhammad (saw) bequeathed us, the liberation of Makkah is central to it. How can we overlook this most enduring and lifelong sunnah of Rasul-Allah (saw)? How can we be fooled by self-styled "custodians of the haramain" when these same custodians are the clients of shaytani and taghuti world powers? It should be clear by now to all observant Muslims that the liberation of occupied territories in all the corners of the earth can only be achieved after the liberation of Makkah. We will not be able to consolidate ourselves when our heart is held captive by the enemy. Makkah is our heart. We, in the best tradition of our exemplar, Muhammad (saw), are called upon to set Makkah free. We have no other choice. The activities that are specific to Makkah are the activities that will mold this ummah back together. The Hajj, ‘Umrah and Makkah as the qiblah are guaranteed to consolidate the Muslims if we can free Makkah from the strangulation of rules and regulations that have rendered it as irrelevant to our social, political and military affairs as Anchorage, Alaska. The liberation of Makkah in the tenth year of the Hijrah heralded the entrance of tens of thousands of people into Islam, since which time Islam has worked its way to all the continents of the world. It was very difficult to get to Makkah, but once that was accomplished the expansion of Islam was phenomenal. Palestine occupies a special place in every Muslim’s heart because of al-Quds. Our wound in Palestine is probably one of the deepest inflicted upon us in the fourteen hundred years since the Muhammadi liberation of Makkah, because we are painfully aware that al-Quds was the first qiblah, and that Muhammad (saw) went on a night journey from Makkah to al-Quds. And that is precisely the point. He did not go from al-Quds to Makkah on a night journey. 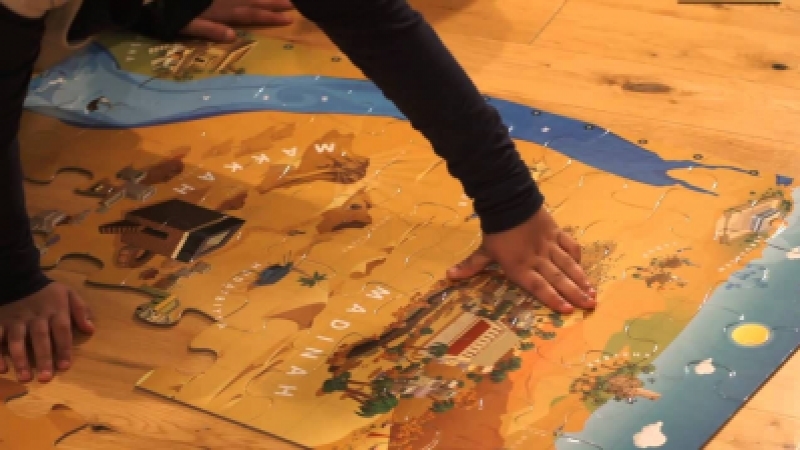 The city of origin is Makkah, which is also our current and final qiblah. Let us get our priorities straight. 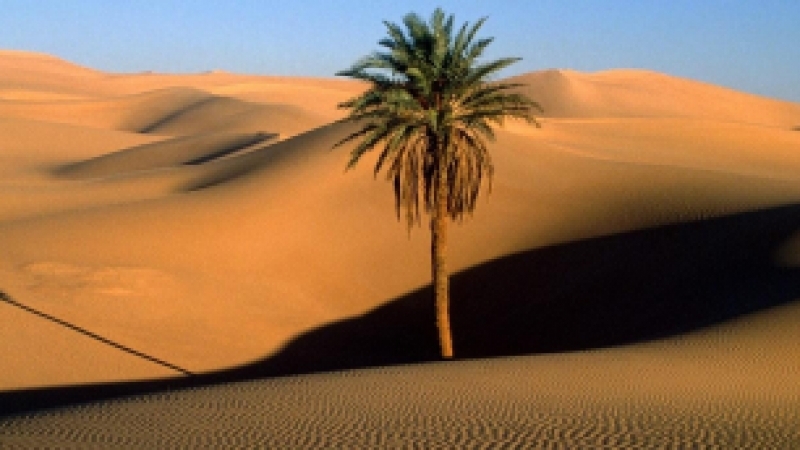 The Prophet (saw) had the option of avoiding Makkah and liberating as much land as possible in Arabia and beyond, before even thinking about a return to Makkah; but he did not take it. And in his decision to struggle, suffer, fight for Makkah, we perceive the essence of his immaculate Seerah. We must all pray for the day when this fact dawns on the Islamic movement and it finally understands its priorities.